Staf was so friendly. location of hotel was perfect near to city center. Quite place inside the hotel,if you get a back room ,you get little from the street noise.. 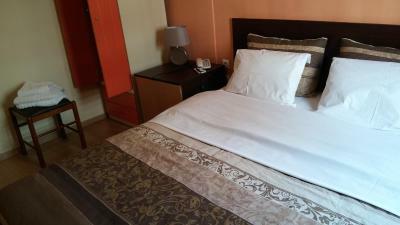 Location in city center, room cleanliness, comfortable bed, paid parking option (not at the hotel but very close to him). Guys at reception was very polite. 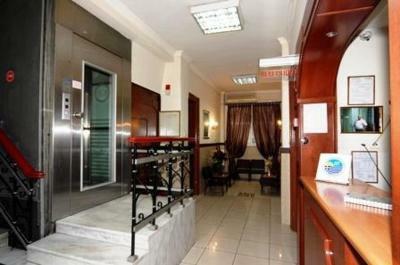 Good value for money comapring to other hotels in Thessaloniki. Good hotel comfy,we have all what is need for being in Thessaloiki for a short break. The location is perfect. 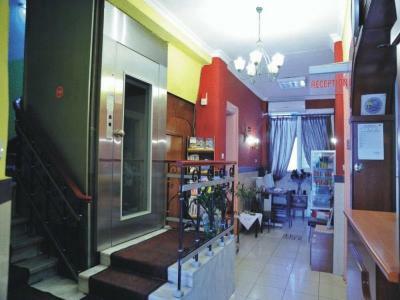 Only ten minutes by shopping area. The staff was very kind. 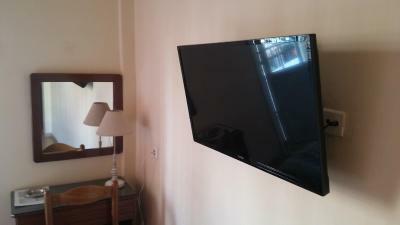 Basic but fantastic location, very kind staff, all in all very good value for the money. Would recommend. Location was perfect. We walked everywhere. Room was Okay, but humid. 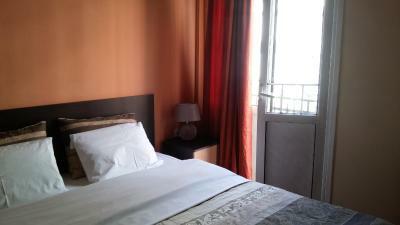 The room was clean, close to the town center and the staff was very friendly. Alexandria Hotel This rating is a reflection of how the property compares to the industry standard when it comes to price, facilities and services available. It's based on a self-evaluation by the property. Use this rating to help choose your stay! 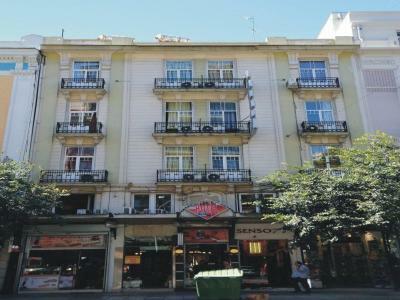 Located along the main road of Thessaloniki, Alexandria Hotel offers modern accommodations with free wireless internet, in the heart of this historical city’s commercial district. 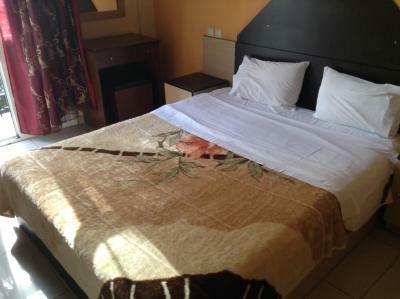 Alexandria Hotel provides a variety of room sizes, suitable for the needs of solo travelers as well as groups and families. 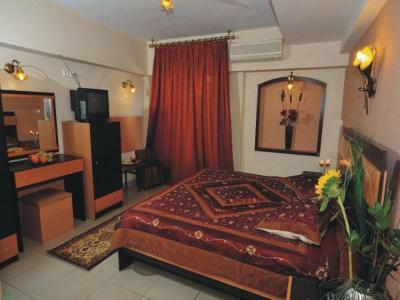 Each room is individually decorated and equipped with air conditioning and a refrigerator for chilling drinks. 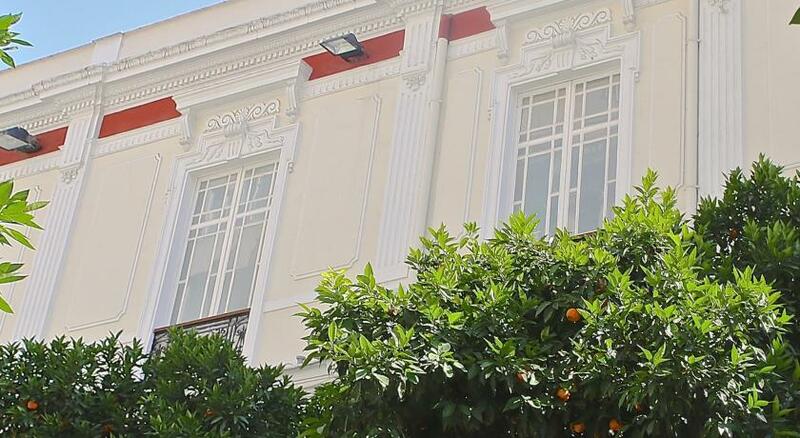 The excellent location of Alexandria Hotel allows guests to access the train station, the White Tower and Aristotle’s Square within a 15-minute walk. 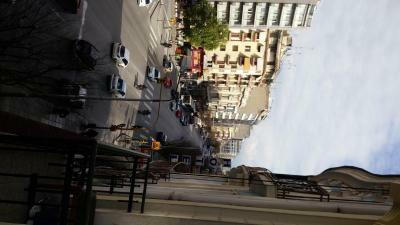 Alexandria is also very well-connected by Thessaloniki’s public transport, with many bus stations close by. Guests who prefer to drive can rent a car through Alexandria Hotel and the staff team is also available to organize any tours and area information needed. Parking is also available upon extra charge. When would you like to stay at Alexandria Hotel? 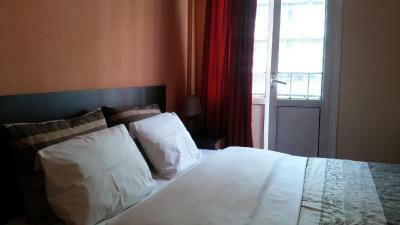 Standard double room with air conditioning and central heating, bathroom with shower, mini-bar and Internet access. Hairdryer and iron/ironing board can be provided upon request. Some rooms have a private balcony. 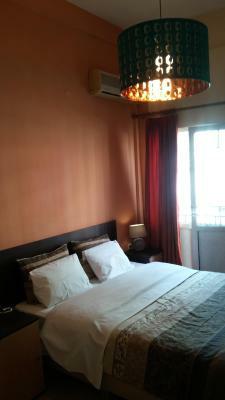 Standard single room with air conditioning and central heating, bathroom with shower, mini-bar and Internet access. 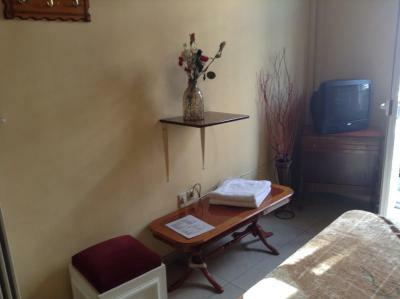 Hairdryer and iron/ironing board can be provided upon request.Some rooms have a private balcony. 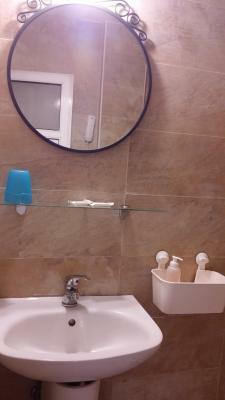 Standard triple room with air conditioning and central heating, bathroom with shower, mini-bar and Internet access. Hairdryer and iron/ironing board can be provided upon request. 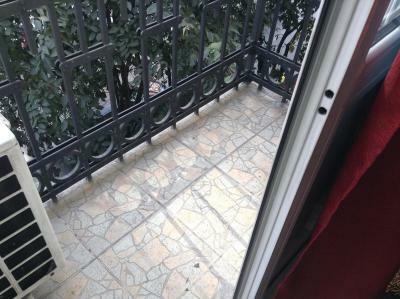 Some rooms have a private balcony. 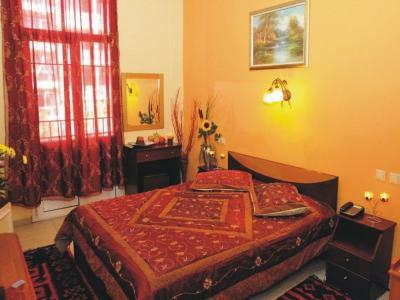 Standard quadruple room with air conditioning and central heating, bathroom with shower, mini-bar and Internet access. Hairdryer and iron/ironing board can be provided upon request. Some rooms have a private balcony. Our family has been hosting travelers and professionals for 3 generations. 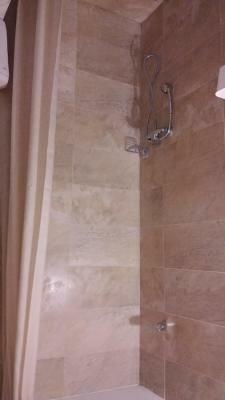 Our goal is to provide you the cleanest rooms possible at the most reasonable prices. 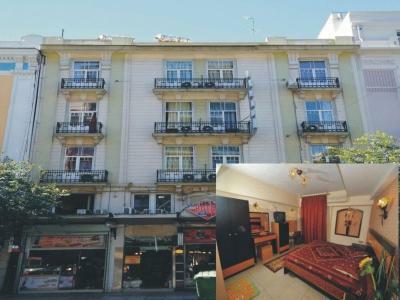 Placed in the central avenue of Thessaloniki, with a bus station at 15 meters, and less than ten minutes of a leisurely walk to Aristotelous square. House Rules Alexandria Hotel takes special requests – add in the next step! Alexandria Hotel accepts these cards and reserves the right to temporarily hold an amount prior to arrival. Please inform staff about your estimated time of arrival. Contact details can be found on the booking confirmation. Please inform Alexandria Hotel of your expected arrival time in advance. You can use the Special Requests box when booking, or contact the property directly using the contact details in your confirmation. 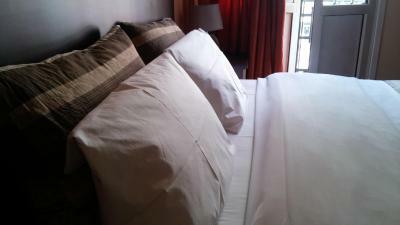 Very nice and helpful staff, light room, comfortable bed, tasty breakfast. Right in the city centre, the bus stop of bus X01 which goes to the airport is just next to the hotel, it takes about 50-60 minutes to get to the airport. Basic hotel room number 29 at the 4th floor was the older room who stay with old equipments. 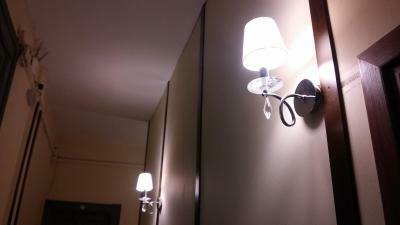 Most of the hotel rooms are beautifully and modern. Strong WiFi Very friendly the owner. Smelly corridor and room (smell of smoking). Even the walls stinked. Dirty glass in the bathroom with alcohol in it, and dirty bath mat. Staff changed our room when asked, the other room was better but by the morning the smell of smoke came through the door- corridor. Good location. Staff were helpful. A bit noisy at night with other guests coming and going. When we just arrived the receptionist asked in front of her! if she is going to sleep or leaving soon, what made her and myself very embarrassed. The bathroom was dirty with footsteps. I went out and met a nice girl to join me in my room for the night, the hotel called my room after one hour and demanded to send her out or pay extra fee. Even though I had a king-size bed in my order. The location is ok. But the noisy street outside is really disturbing even when the windows are closed. The hotel is like a public house.I don't like it. Old neglected facilities, insects all over, poor bathroom. Hospitality of the crew, nice wi-fi connection.